Winter Garden Therapist: Theresa Stiteler - Therapist 34787. Send A Message To Theresa. Theresa Stiteler was raised in a large family, earning her undergrad in Business at a state university in PA. She served in youth ministry for ten years and during that time realized her calling to help people with their emotional needs. She went on to earn her Masters in Counseling at RTS in Orlando and has been practicing as a counselor for 20 years. Theresa has a special heart for people who have suffered with traumas whether that is acute Trauma or chronic traumas that happen over time. Traumas cause changes not just in beliefs and emotions but in actual brain structures and the physical body so Theresa uses an approach that addresses all of these areas. And having grown up with addictions in her family, she understands the real life struggles and provides counseling that is designed to come alongside to bring healing to the pain underneath. She also helps people with codependency, anxiety and women's issues. Marriages that last have a strong foundation, so Theresa provides premarital counseling to new couples as well as strengthening the foundation of existing marriages. Helping each individual to be healthy makes for a stronger, healthier marriage and family. College students and young adults are transitioning through life and can benefit from having someone on that journey with them. Theresa enjoys being a part of this transitional time. Whether it is life coaching or more serious issues that are needing to be addressed, Theresa can provide the coaching to help you move forward. And for clients that have a faith foundation, Theresa can incorporate that into the counseling as well. 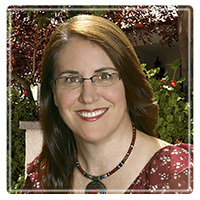 Theresa is trained to get to the root causes of emotional pain and brings not just relief of symptoms but true healing. By addressing the root causes and limiting beliefs, clients find quicker, longer lasting results. The cost is $150 per session, with a free initial phone consultation. Because Theresa believes in people getting help sooner rather than later, scholarships are available for those needing financial assistance. taking adventures together and traveling. She is also passionate about helping people to get healthier through whole food nutrition and simple lifestyle changes. She believes mental and physical health go hand in hand.